Last night I wrote the below words to the recipients of my Heart Notes tribe. Writing to them each night for the past month has been so lovely. It has helped me to slow down and savor the holiday season that tends to go by in the blink of an eye. The words I wrote to them spoke so deeply with me that I wanted to share them here with you as well; I now they won't mind. As you welcome in the New Year be tender with yourself. Know that you have traveled a year long journey. Your feet my be tired. Your heart may be worn. For you have conquered another year. Bask in the glory of all you have accomplished. Give thanks for all the goodness that has come your way. Remember the struggles you faced, and pat yourself on the back for making it through them. You made decision after decision. You showed up, even when you didn't want to. You had difficult conversations. You did the hard work, like deciding what to cook for dinner and tending to the souls around you. You cleaned up your fair share of messes. You figured things out. You didn't always do it with grace and patience, but you did it nonetheless. And along the way you learned how to do it a little bit better next time. You created memories that will last a lifetime. You traveled near and far, sometimes only taking the trip in your mind. You made new connections and strengthened relationships. New smile lines dance across your face. You learned something new, about yourself, about those around you, about this divine world we are living in. You danced with pure joy and delight. You touched the life of a stranger, and never even knew it. You saved the day for someone. You were surprised by more than one thing, and you surprised someone else. You loved deeply. You lost someone you cared about it. You misplaced so many things, some you have now found and others are still missing, like the charger for your camera. You came alive. You celebrated with others. You found your way. This past year you have done and felt so many things. Remember this when the clock strikes midnight. Recognize all that was and boldly step into all that will be. Treat yourself kindly. Give three cheers for arriving here with new battle scars, new memories, and another whole year filling you up. Not did you just make it here, but you lived it - - each and every day. For that is something to celebrate. P.S. 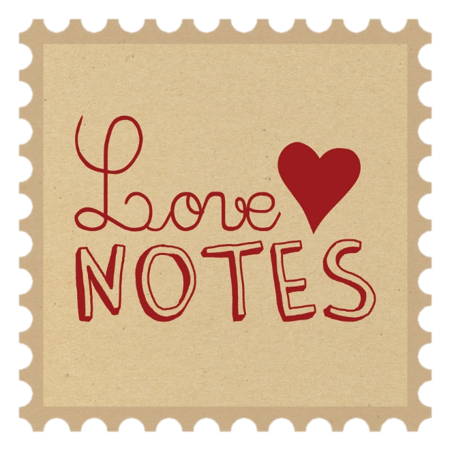 I will be hosting Heart Notes again in 2014 and would love to be writing to you.